2/23: Truly Ocean Front Notice the stairs to the ocean. 13/23: Kahalu`u Beach to the left. Welcome to our beautiful Hale Lula, Ocean Front Retreat! If you want to get away from it all and truly enjoy the “Hawaiian Experience”, this is the place for you! 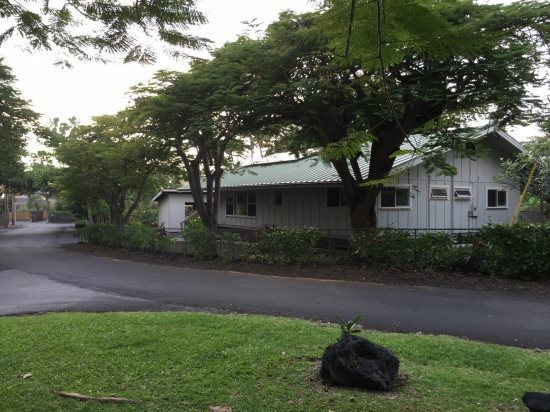 Located on Alii Drive in Kailua Kona just north of Kahalu’u Beach Park. This is a great place for surfing, paddle boarding and snorkeling. 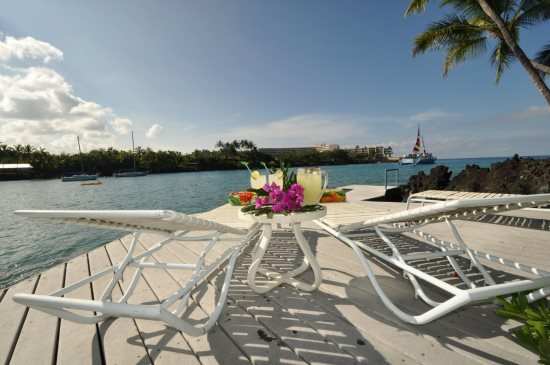 Two Ocean Front Master Suites on each end of the home, provide privacy and plenty of space. You will receive a beautiful Welcome Basket, that includes 100% Kona Coffee, Locally made Banana Bread, Fresh Tropical Fruit and other island goodies. Whenever possible, we will personally greet you upon arrival and provide a short tour of the property. Hale Lula is close to beaches, shopping, a movie theater, and golf course. 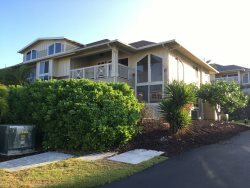 This home has also been well maintained and is beautifully furnished with great beachy and island touches. You are greeted with a feeling of light, open space with a 180-degree ocean view! The kitchen is well-equipped and features stainless steel appliances. You can prepare meals while looking out at the ocean and watch the surfers. The dining area table will seat up to 4, or enjoy your dinner on the private lanai (additional 6 seat dining table provided)! The living area is furnished in a relaxed island décor and both the living area and the dining area open onto the lanai overlooking the ocean. This creates a very expansive and private feel to your beach retreat. Relaxing on the lanai with a book and your morning coffee is a delightful way to begin your day. While the ocean waves break, they remind you that you are indeed in a very special place. Both Oceanfront Master Suites include a Queen Bed and on-suite bath. 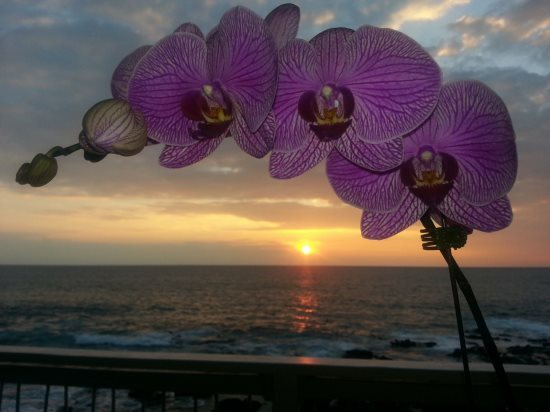 Step out on your lanai to enjoy the plumeria scented air each morning and lovely ocean view when you arise. This is the ideal spot to enjoy a cup of our locally grown Kona coffee! The full-sized washer and dryer make it easy to care for your needs. All the linens, laundry soaps, kitchen supplies, and paper goods for your stay will be furnished for your convenience. The condo is equipped with high speed wireless internet and cable TV. There is a large screen TV in the living area. In addition to the living area TV, there is a TV in both master suites. This home offers free long distance calls to North America, as well as free local calling.